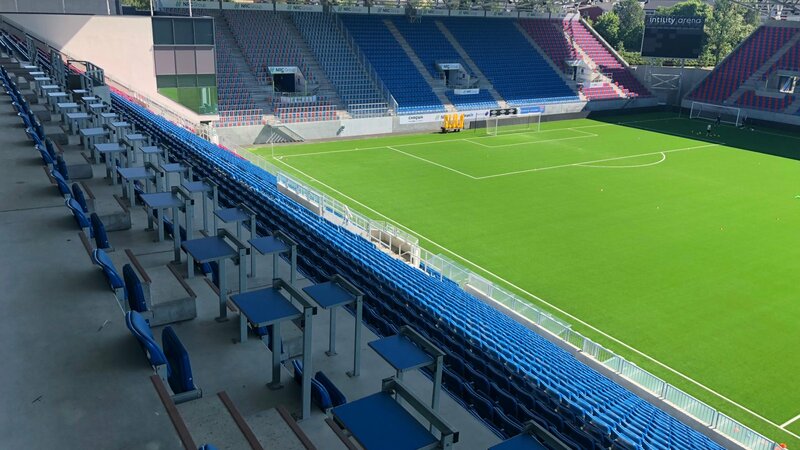 Vålerenga Fotball Elite welcomes media from abroad. Here are som guidelines to your visit to Intility Arena. The press facilities is located on the second floor while the media entrance is on level zero. Coffee and non-alcoholic drinks are served prior to the match. During half time some light snacks and coffee. Electric power, free wireless internet as well as working facilities are provided before, during and after the matches. The press in-game seating is also in the same stand. After regular league or national cup fixtures there is a mixed zone setup on the ground floor, a steward will guide you. Vålerenga has partnered up with Scandic Helsfyr, and we can we can highly recommend their hotel if you were to travel to Oslo. The hotel is near to our new stadium that was consecrated in September 2017.